For CA-401/601 or CK-401 motor blocks. Large capacity heading with 273 cm² inlet. 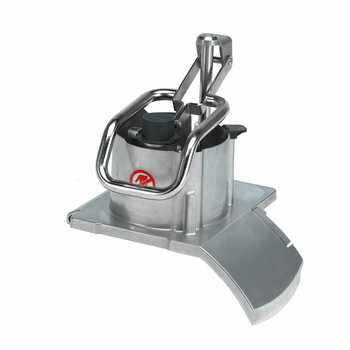 Head with lateral blade, which distributes the product inside the inlet and cuts and distributes entire products like cabbage. Optional core drill included with the same purpose. High-positioned ejection disc allowing to eject a larger product quantity.